Ohshiro MAEDA and Koki MAEDA in I WISH, a Magnolia Pictures release. Photo courtesy of Magnolia Pictures. Joe ODAGIRI, Koki MAEDA, Nene OHTSUKA, Ohshiro MAEDA in I WISH, a Magnolia Pictures release. Photo courtesy of Magnolia Pictures. Ohshiro MAEDA in I WISH, a Magnolia Pictures release. Photo courtesy of Magnolia Pictures. 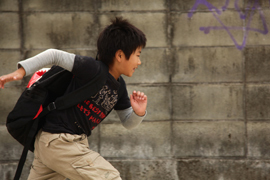 Koki MAEDA in I WISH, a Magnolia Pictures release. Photo courtesy of Magnolia Pictures. 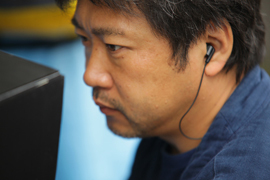 Hirokazu KORE-EDA, director of I WISH, a Magnolia Pictures release. Photo courtesy of Magnolia Pictures.